Need Bad Credit Auto Loans In Calgary? When our cars get old and start to become unreliable, it’s always a stressful time. We all know just how much we depend on our personal vehicles on a daily basis, and how difficult our everyday lives can very quickly become without them. And we also know how expensive it can be to purchase a new car. Regardless of how good the deal is that you manage to arrange, there’s never any getting away from the fact that a vehicle is always going to be a significant investment which requires decent credit to obtain. 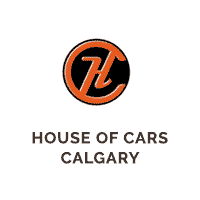 Fortunately, House of Cars has the ability to approve bad credit auto loans Calgary. That means that there’s never any reason to panic about the cost of buying a new car – regardless of your current (or past) financial situation. So if you’ve been dreaming of investing in a new, top-quality vehicle but have been putting it off because you assumed that your lack of initial funds and your poor credit-rating would prevent you from being able to make the purchase, it’s time to think again. Just get in touch with House of Cars and let us finance your next vehicle, regardless of your low, new or bad credit score. You’ll be amazed at just how many options there are on the table for people in your situation. Some Calgary residents may have a poor credit-rating for any number of reasons. Perhaps you’ve had a hard time financially in the past and had to declare yourself bankrupt. Or perhaps you’re a student or a self-employed person for whom it’s always difficult to prove that you have a reliable source of significant monthly income. Or maybe you’ve simply not been living in Canada for very long, and so don’t have a traceable financial history in the country. Whatever the reason that you don’t have the credit score that you’d like, it doesn’t have to mean that you can’t have the vehicle you’d like. With an auto loan specifically intended for people with a low credit-rating, you’ll be able to access the funds you need to make your desired purchase far more swiftly and easily than you’d ever thought possible in the past. Here at House of Cars, we’re proud to have built our excellent reputation in the industry on the back of many years of experience helping people with low credit scores get access to the financing they need to buy the cars they love. Working with a member of our Financing Department, you’ll be able to look at the various bad credit car loans Calgary has to offer, before determining which one is best for your situation. And not only will this mean that you’ll have the money you need to buy one of our top-quality new or second-hand vehicles, but also that you’ll be well on your way to building (or rebuilding) your credit-rating with our easy Credit Rebuilding Program. Just get in touch with a member of staff today to find out more information.